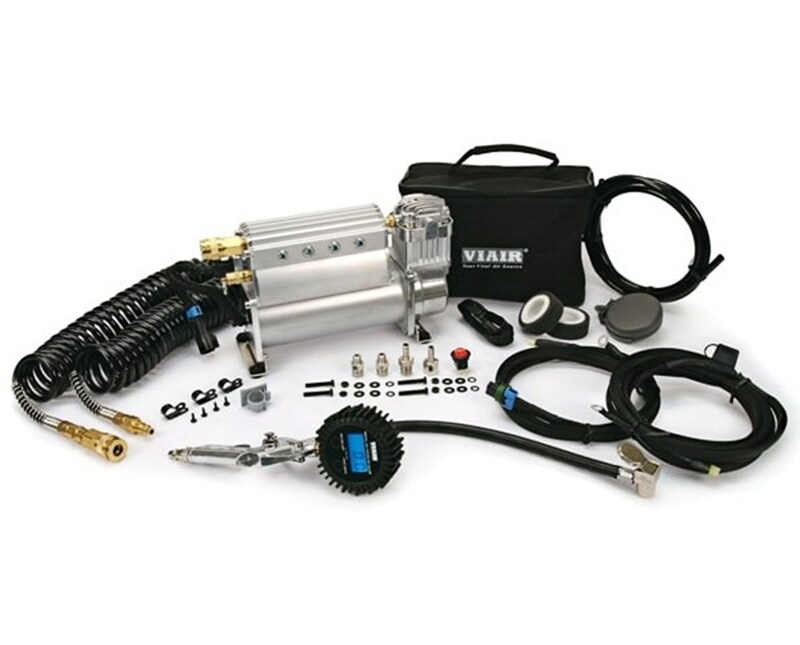 Equipped with a 100 duty cycle 450C Viair compressor, the Viair Constant Duty Automatic Deployment Air System offers an extremely easy to use and unbelievably compact air system. With a high-performance, 12-port air tank and a coiled air line it provides a compact air locker and tire inflation station. 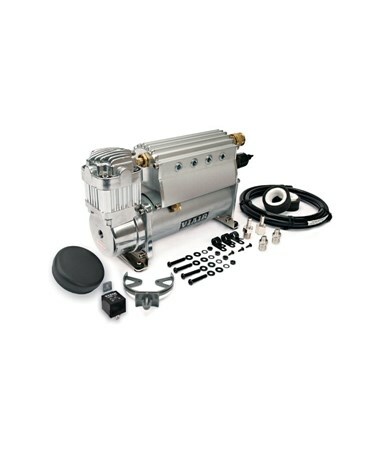 This air system delivers 1.80 CFM flow rate at a maximum working pressure of 150 PSI. The Viair Constant Duty Automatic Deployment Air System boasts durable and reliable construction and will stand up to the toughest environments. It is equipped with a permanent magnetic motor and operates using a 12-volt system it has a maximum amp draw of 23 amps. With a thermal overload protector power is automatically cut when the internal operating temperature of the air compressor rise above safe levels during excessive use. 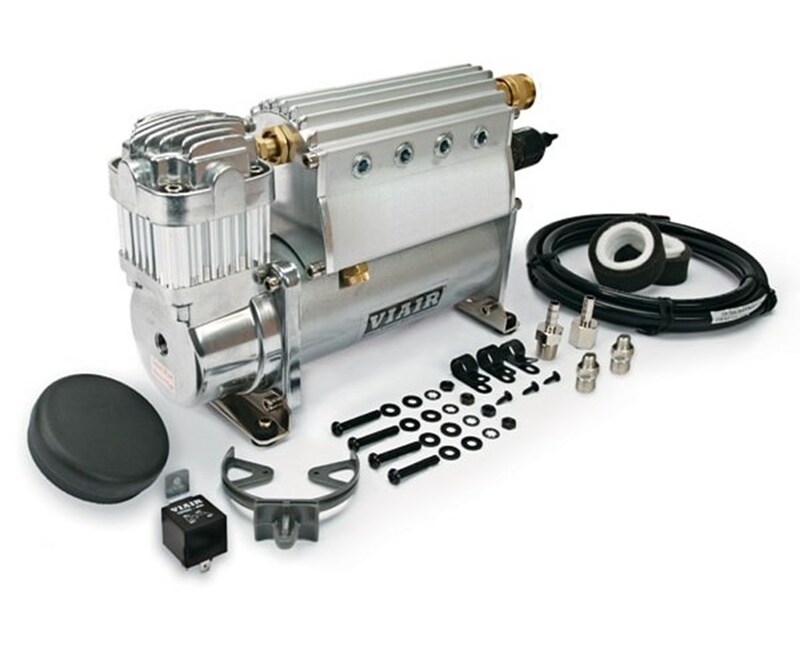 Engineered with an extruded aluminum housing and rated IP67 for ingress protection, the Viair Constant Duty Automatic Deployment Air System will easily take the most difficult conditions while still providing impressive performance. 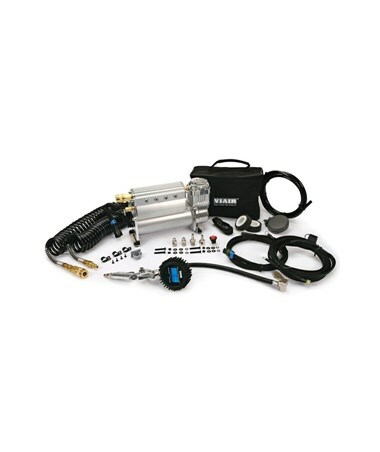 This air system is available in two models, a base model kit which includes pre-installed model and a universal kit which includes a wiring harness to make installation a plug and play process. It also comes covered with a 1-year manufacturer’s warranty against defects. 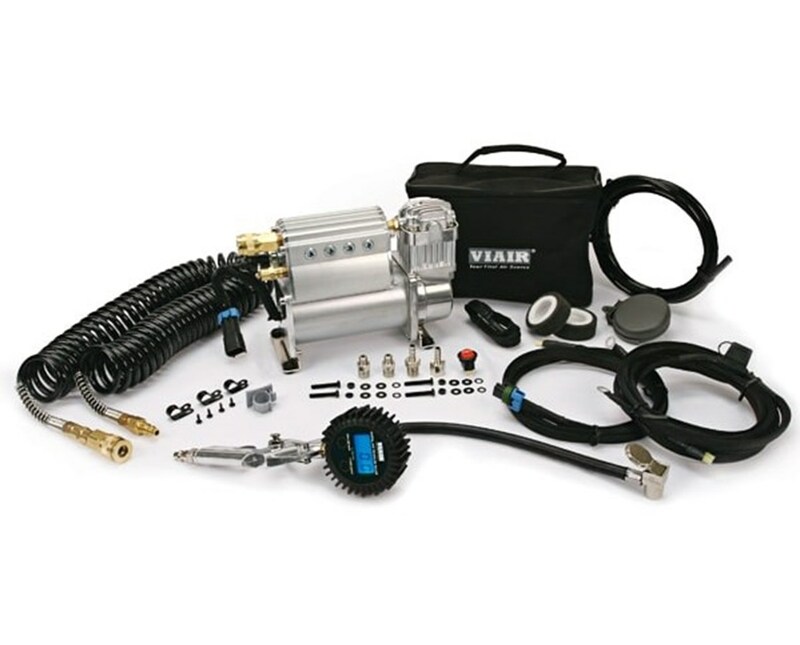 The Viair Constant Duty Automatic Deployment Air System is available in three different models. Please choose from the menu above. Run time of 1 hour.